Kite experts from around the United States and Canada, including members of New York Kite Enthusiasts will help kite fliers of all ages and skill levels on the windswept grounds around Fort Ontario during Harborfest weekend, July 24 and 25. OSWEGO – Bring your kite to fly at Fort Ontario State Historic Site in Oswego during Harborfest weekend, July 25 and 26. 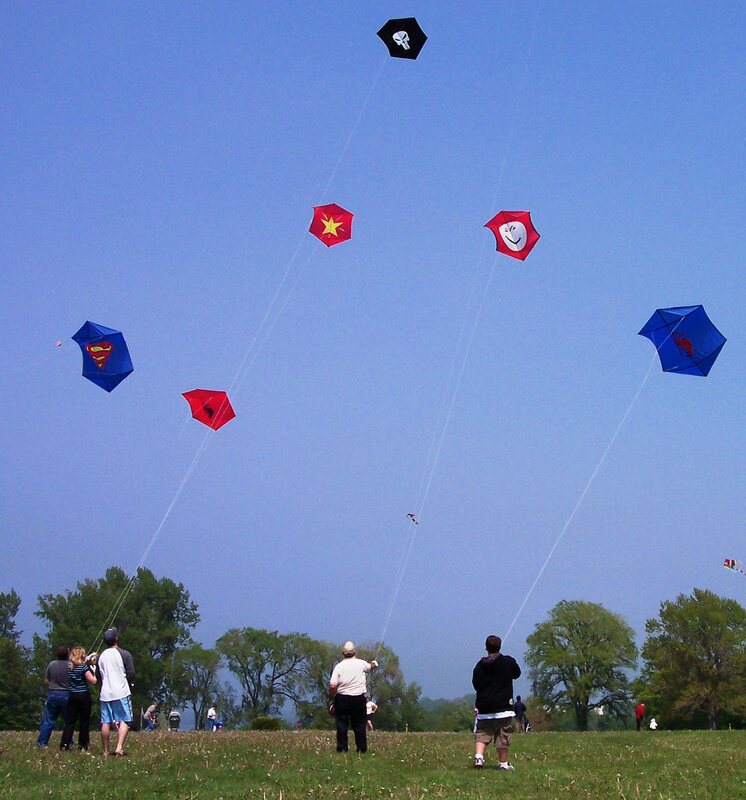 Kite experts from around the United States and Canada, including members of New York Kite Enthusiasts and noted kite historian Thom Shanken, will help kite fliers of all ages and skill levels on the windswept grounds around the old fort. 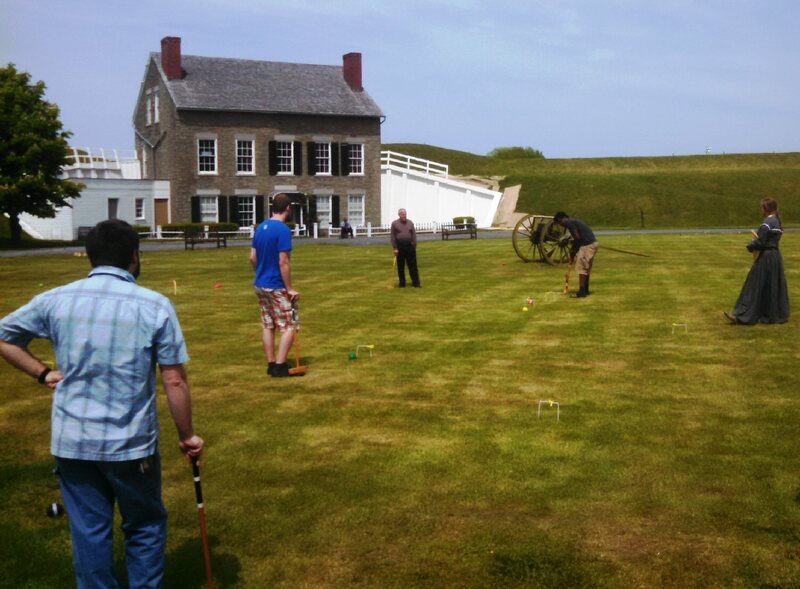 Visitors to Fort Ontario can take a croquet break on the parade grounds during Harborfest weekend. There will be no admission charge on July 25. 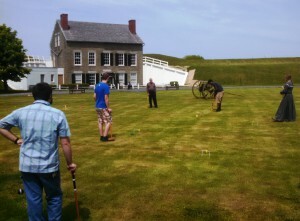 In addition to kite flying, AmeriCorps staffer Shannon Cilento will supervise pickup matches of croquet on the parade ground inside the fort. The fort will also be open for self-guided tours on Saturday from 10 a.m. to 4:30 p.m. and Sunday from noon to 4:30 p.m.
A $6 vehicle fee will be charged on Saturday beginning at 9 a.m. until the parking lot and lawn are full; fireworks viewers are encouraged to arrive and park early to get a space. Food and beverage and glow stick vendors will be present during the evening of the fireworks. There will be no charge to enter the old fort on Saturday until it closes at 4:30 p.m. Regular admission will be charged on Sunday. Fort Ontario State Historic Site is located at the north end of East Fourth Street in the city of Oswego. For more information on Fort Ontario State Historic Site, contact Paul Lear at (315) 343-4711.